Long-term care (LTC) includes ongoing care and support for yourself or your loved ones. This type of care can include assistance with day-to-day activities such as getting dressed, personal hygiene, and preparing meals. We know that when the need for long-term senior care comes up, it can be daunting process to figure out what to do next and which LTC option is right for your loved one. It can be easy to become blindsided by a new diagnosis or the advancing age of a loved one. But knowing the facts can help make it easier. 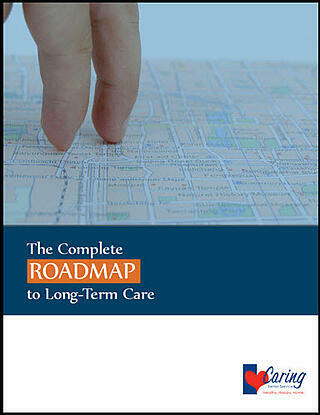 This LTC guide will walk you down the road to receiving the best care possible for you or your loved one. We explore each LTC option in depth, discussing the pros and cons along with estimated costs and insurance coverage. "Covering a topic that can seem complicated, the book provides an easy to read format of the various care and living options that seniors may have to face as they age or become sick or injured. I'd recommend it for anyone concerned about their future or their loved ones." "It is important to start the conversation [about long-term care options] early with family and develop a plan moving forward."